YUYIN 于茵 offers a discount of 25% on their first / introductory lesson! 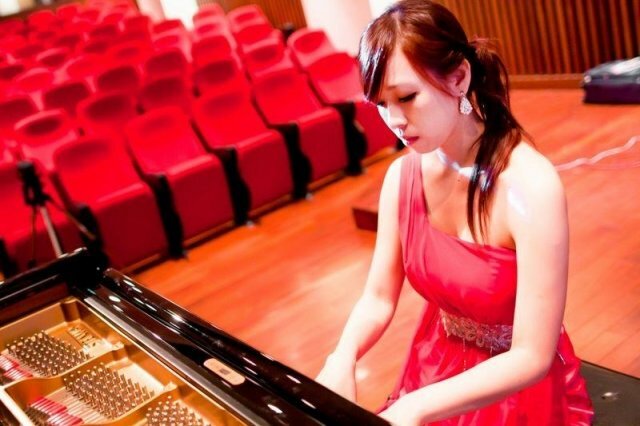 This is Sasa graduated from Royal Birmingham Conservatoire in England for piano master. I'm very good at getting along with children and teach them from basic to high level. Majority of my students took ABRSM exams and got distinction. Also, I teach Chinese in the same class. Please let we talk more about the lesson. Don't hesitate to contact me. Thanks! I had few years teaching piano in London and also Mandarin for Traditional or Simplified Chinese with DBS certificate. In addition, I helped students to reach high level of exams or for performances. Piano: Beginner-use games and beats to train their listening and remember the positions of notes and on the keyboard. Intermediate- practice etudes and suitable repertoire for training muscles and the musicality. Adult-Selected songs by their hobbies and some funny recordings. Mandarin: By using Chinese made easy books and worksheets each 1-2 weeks plus some games and more.